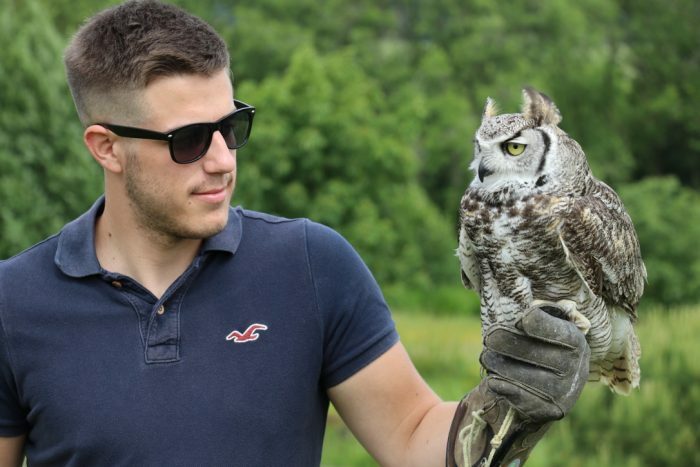 Be at one with nature and create a memory that’ll last a lifetime by joining us and our feathered friends on our half day experience. 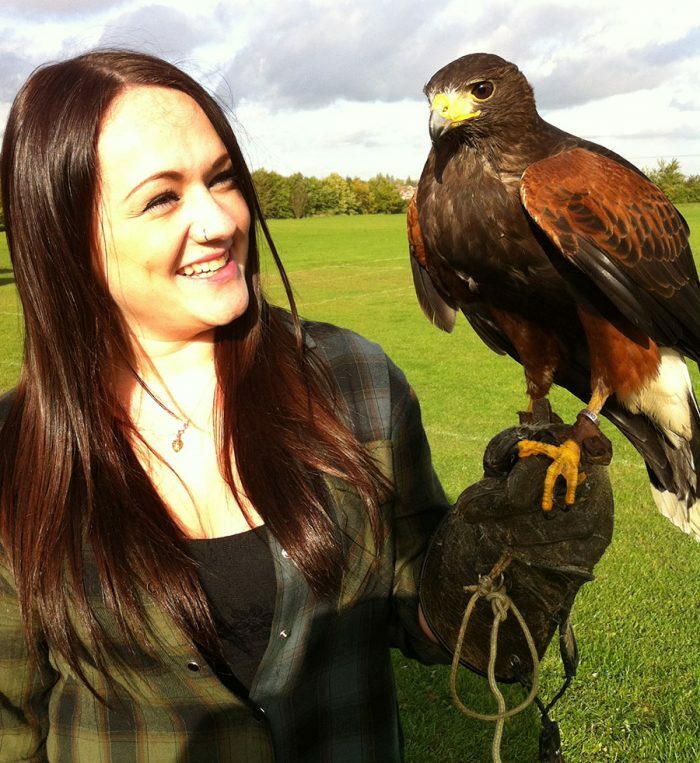 You’ll start by meeting your professional falconer and get straight in and hands on with our wonderful birds. 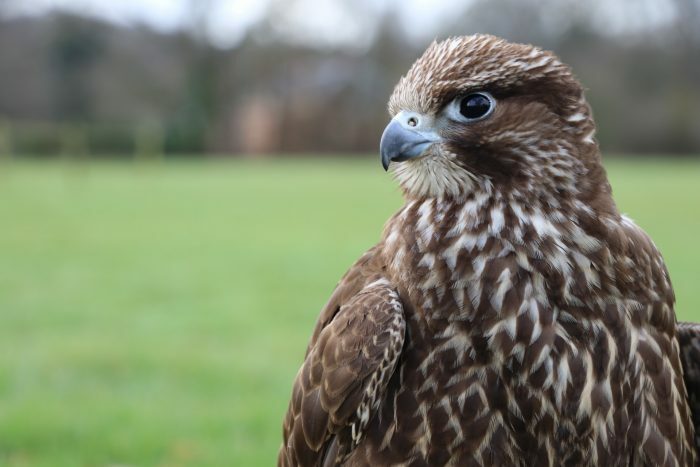 Your falconer will give you a detailed insight into every bird’s physical features, hunting skills and natural behaviours, as well as teaching you the basic handling skills you will be using throughout the day. 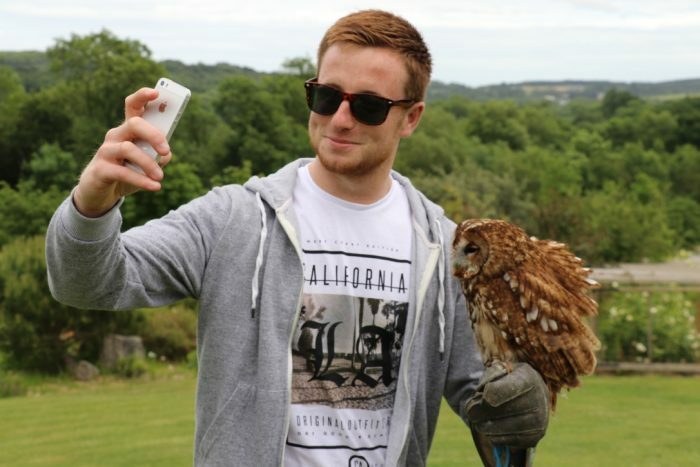 In addition to this you will be shown the daily task a falconer has to complete, such as management and husbandry. 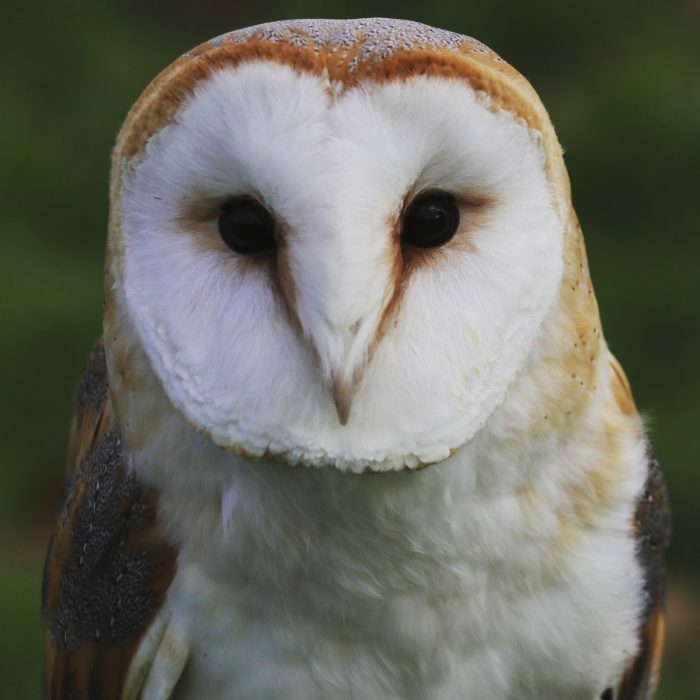 Start by flying our beautiful owls and see first hand how silently and effortless these birds fly. 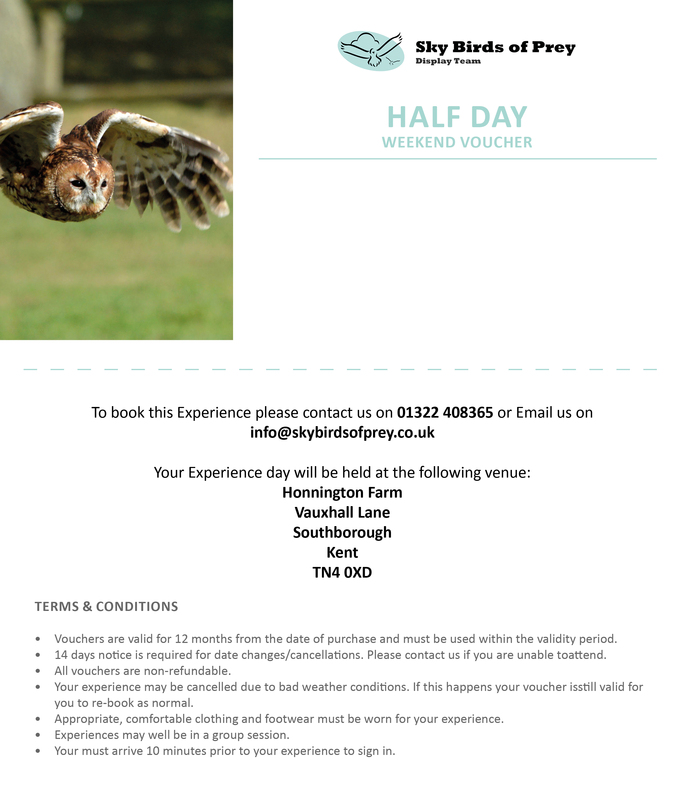 Once your owl interaction has concluded, you’ll head out for a walk in the countryside on a Hawk Walk. You’ll experience our hawks flying majestically from tree to tree and throughout this time it’ll be you calling them to the glove to feed. 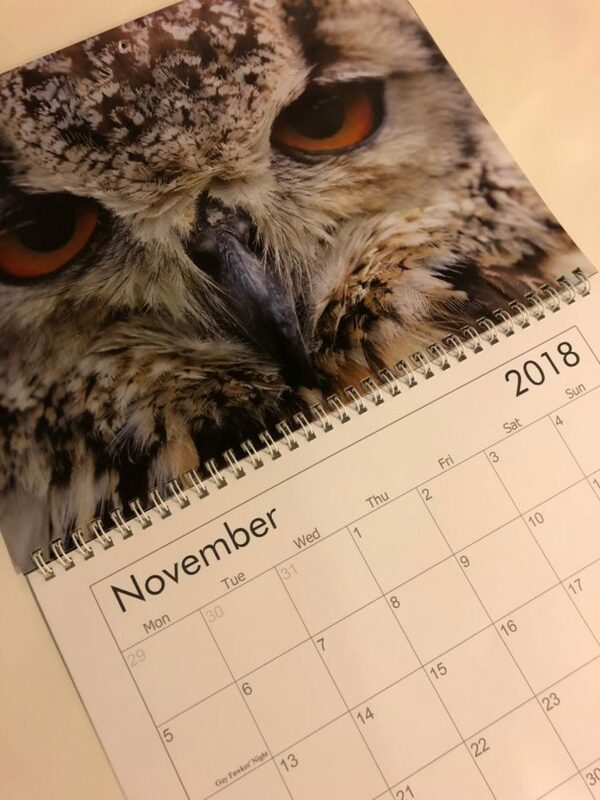 Finally, you’ll a unique opportunity to experience a falcon at its fastest, flying high and swooping in close to hunt its prey at speeds of up to 200mph. Finally, you’ll finish up by returning back to your original meeting point for questions and photos before heading home. If you would like to have a gift boxed voucher with a message please type the message below. Vouchers are valid for 12 months from the date of purchase and must be used within the validity period. 14 days notice is required for date changes/cancellations. Please contact us if you are unable to attend. Your experience may be cancelled due to bad weather conditions. If this happens your voucher is still valid for you to re-book as normal. Appropriate, comfortable clothing and footwear must be worn for your experience. Experiences may well be in a group session. You must arrive 10 minutes prior to your experience to sign in.